Need an Effective Real Estate Attorney in Woodridge, IL? | Fournier Law Firm, Ltd. 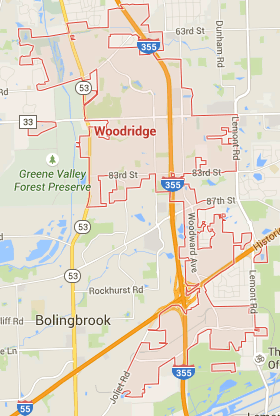 Need an Effective Real Estate Attorney in Woodridge, IL? With median household incomes resting comfortably above the national average, Woodridge, IL is a thriving Chicagoland suburb that attracts both growing families and highly educated professionals who do not have children but want to enjoy the benefits of suburban life. With so much to offer in the suburb’s tree-lined neighborhoods and business districts, it is no wonder that real estate values in the 60517 area have increased steadily over the past two years. If you are a buyer or seller looking to take advantage of the attractive residential or commercial real estate market in Woodridge, IL, consulting with an experienced real estate attorney can help protect your financial interests while ensuring you understand all the legal documents you will be required to sign. Fournier Law Firm, Ltd. has been serving Chicagoland realtors, developers, homeowners and first-time homebuyers in all phases of real estate transactions for more than 17 years. They have the necessary experience to make sure everything goes as smoothly as possible with your deal. Protect your real estate investment now. Call (630) 792-1000 to schedule a free consultation with a knowledgeable real estate attorney at Fournier Law Firm, Ltd. You can also complete our Online Contact Form and someone will contact you to further discuss your legal needs. In its years of handling residential and commercial real estate transactions, Fournier Law Firm, Ltd. has learned to anticipate and avoid problems that arise during real estate transactions. This extensive experience working on deals involving buying, selling, leasing, financing and developing real estate allows our real estate attorney to see potential problems down the road before they become a serious headache for you. Do more than skim your real estate documents. Call (630) 792-1000 to have an experienced real estate attorney explain what you are signing. You can also complete our Online Contact Form to have a member of our staff contact you. Need a Short Sale Lawyer in Woodridge, IL? No Problem. If divorce or a loss of income has you struggling to pay your mortgage, you may be able to avoid foreclosure by negotiating a short sale with your lender. When a homeowner sells a home for less than the balance due on the mortgage, it is called a short sale. This intricate real estate transaction is designed to free homeowners from the burden of unmanageable mortgage debt. However, because of the potential risks this type of real estate transaction poses to your other assets, you should never enter into a short sale without consulting an attorney. The knowledgeable short sale lawyer at Fournier Law Firm, Ltd. can help you understand the complexities of this real estate option and will negotiate with your lender to obtain the most favorable outcome possible. In some cases, lenders agree to waive the outstanding mortgage balance after the home is sold, relieving the borrower of responsibility for that debt even if it is not paid in full. Learn whether a short sale is the right option for you. Complete our Online Contact Form or call (630) 792-1000 now for a free consultation. Our experienced short sale lawyer has helped homeowners in Woodridge, IL and throughout DuPage County free themselves from overwhelming mortgage debt.